Come to Prague and meet gorgeous Czech women and Slovak women and enjoy beautiful culture or sport program we can assist you with as well. If you are not looking for matchmaking services we can assist you with as well. 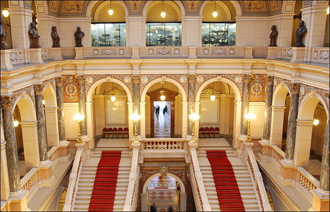 Would you like to visit some of the amazing operas, musical show, festival, fashion show etc? Prague offers many opportunities and we can help you to explore them in an easy and nice way. Would you like to take a course in acting, rhetoric, Czech language...?? Please let us know your individual wishes and we will come up with tailored package that meets your requirements.